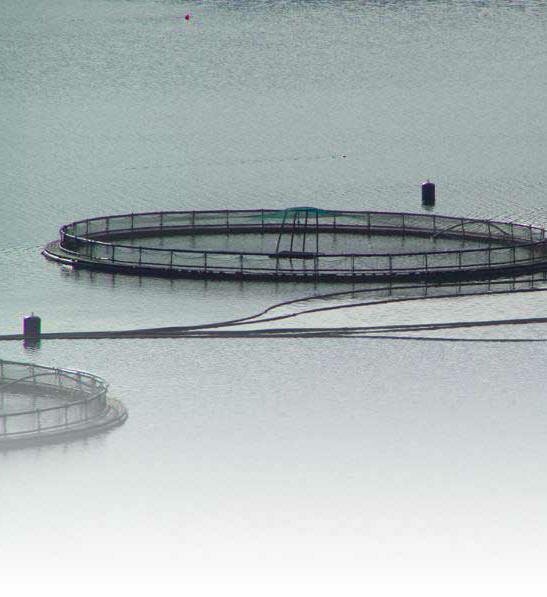 Pro-Act is a biological company that engages in the development and marketing of microbial products for aquaculture farms. We work with shrimp, catfish, tilapia, bass and other types of fresh and saltwater fish. We are currently successfully treating farms around the country and can customize our microbial products to fit your needs.
} Reduces ammonia levels and moderates ammonia spikes.
} The microbes use the solids that collect on the bottom as a food source which, over time, reduces the sludge depth.
} For filter feeders, microbes are a good source of protein. If the microbial population is kept high, a bio floc is built, so the both the protein level and the amount of fish feed can be reduced.
} Our microbes are also a food source for zooplankton and promote their growth. Some fish use zooplankton as a food source.
} With the microbes, the blue green algae blooms are less likely to occur. If the bloom does occur, it will be much less severe.
} Our bioblend inhibits the formation of nitrite and lowers the incidence of brown blood disease.
} Customers who use our bioblend all year save enough money on water treatments, chemicals and harvest delays to more than pay for the cost of our treatment.
} 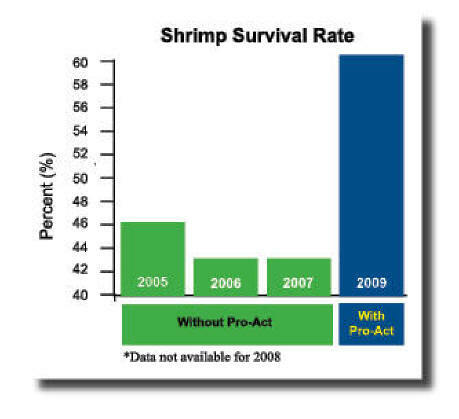 One shrimp farm we recently treated show its shrimp survival rate increase from 43% to 60%! The shrimp yield increased to 5,000 - 6,000 pounds per acre without extra feed. Copyright Â© 2011 Pro-Act Microbial, Inc. The treatment systems of PRO-ACT MICROBIALÂ® are protected by U.S. Patent No. 7,267,766. Other U.S. and foreign patents pending.